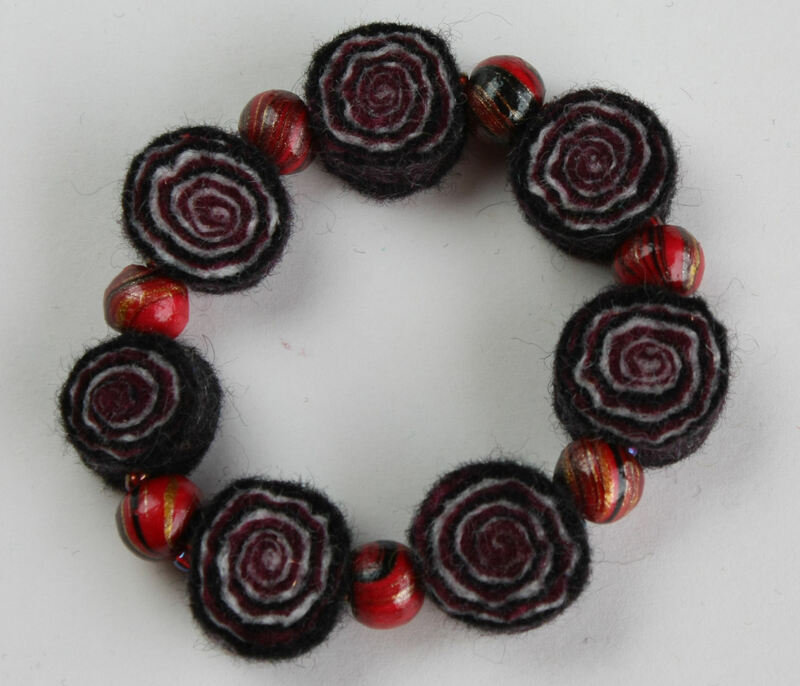 This bracelet has been made using wet felted merino wool rolls, that are then dried and sliced into segments, revealing the layered colours inside. These black cherry swirl beads are claret, white and raven black, with a hint of sparkle from angelina fibres. the seven felted slice beads are interspersed with red wooden beads,and red glass seed beads. 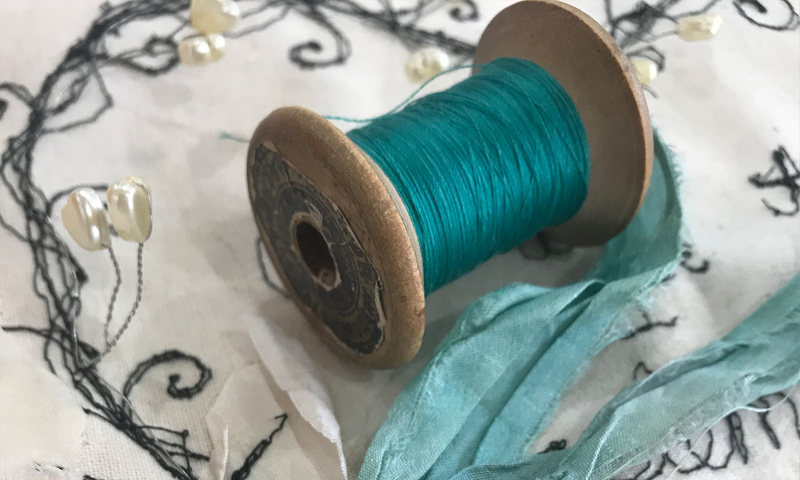 They are strung onto beading elastic, making it easy to put on and off. This would make a fabulous christmas gift- a total one off! size = approx 23cm circumfernce when relaxed.